The 2018 M.O.M. 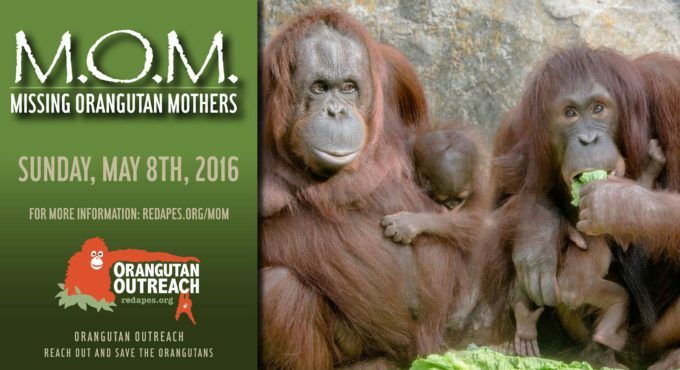 banner featured first-time mother Ebol and her beautiful baby girl Eden. 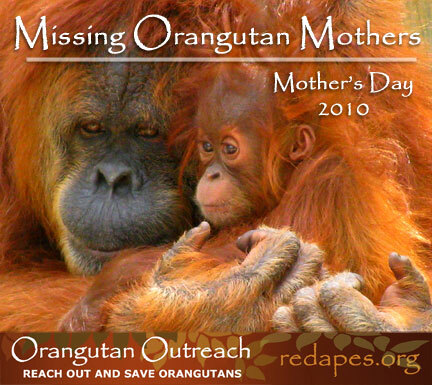 They are living in BOS Nyaru Menteng's Batikap Release Forest, which is located deep in the Heart of Borneo. 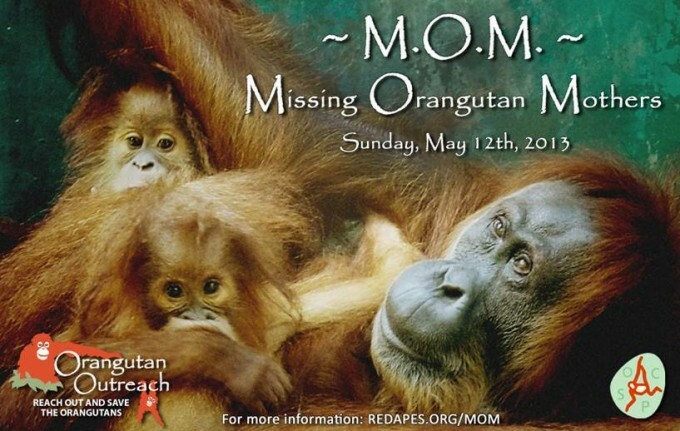 The Borneo Orangutan Survival Foundation has released more than 100 rehabilitated orangutans into the protected forest over the last few years and these rehabilitated orangutans are now having babies of their own. Read more about the release program here. 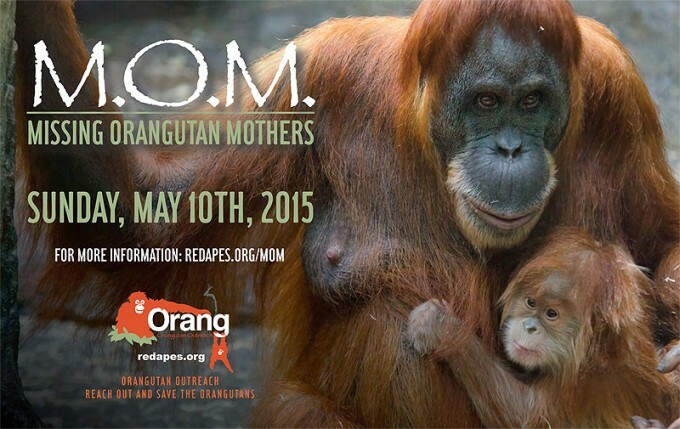 These rehabilitated orangutans are creating a new, wild orangutan population. The 2017 M.O.M. 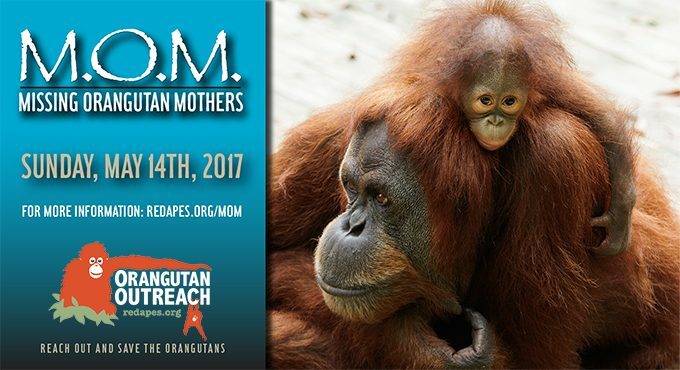 banner featured Zoo Atlanta's Madu and baby Keju. When Keju's biological mother at Wisconsin's Henry Vilas Zoo was unable to provide appropriate maternal care for her, zoo staff made the difficult but necessary decision to find her a surrogate mother. 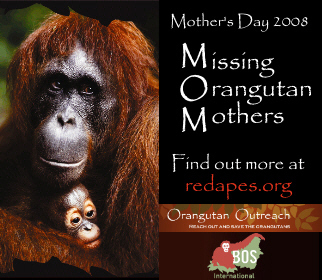 Although Madu has never had offspring of her own, she has an outstanding track record for surrogacy. 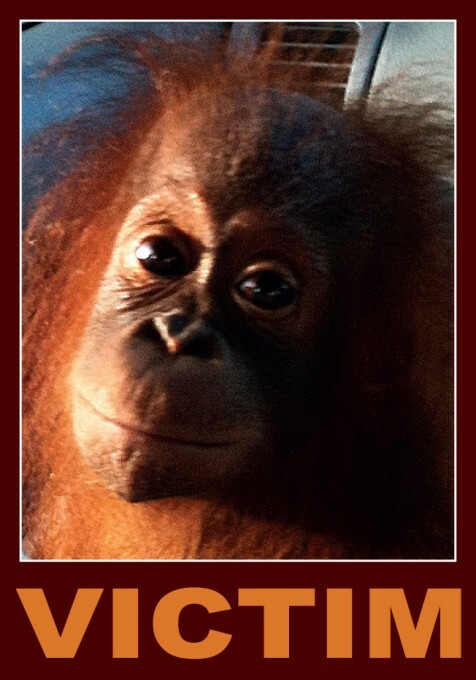 It was love at first sight as Keju grabbed onto Madu and never let go! 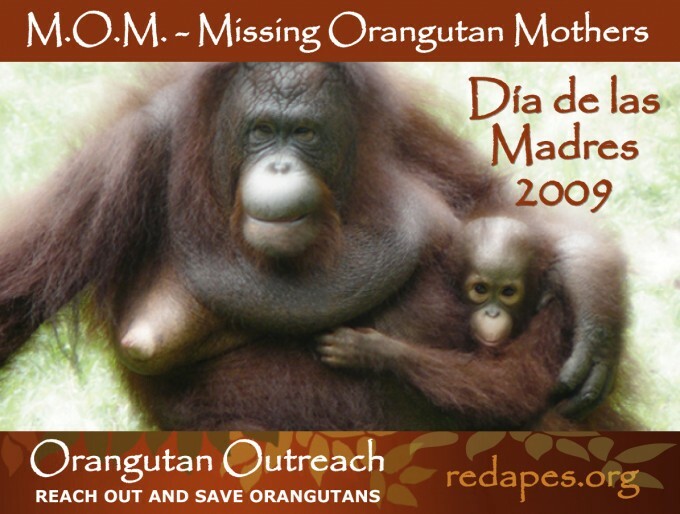 Madu accepted the youngster as her own and the two have been together ever since. 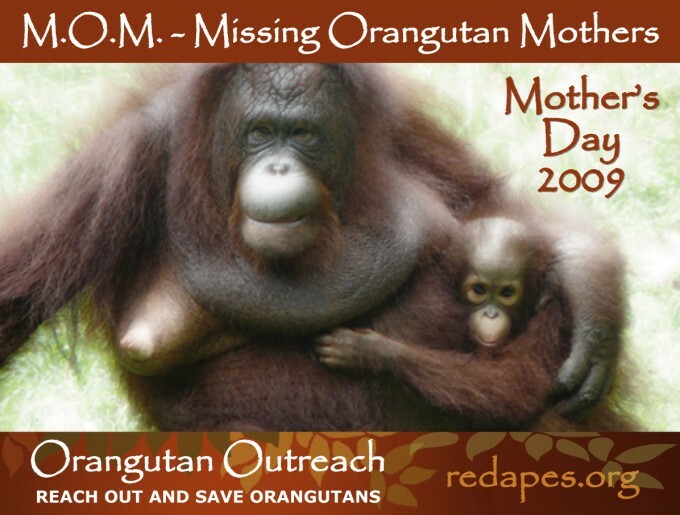 Keju is Madu’s fourth foster child and first foster daughter. 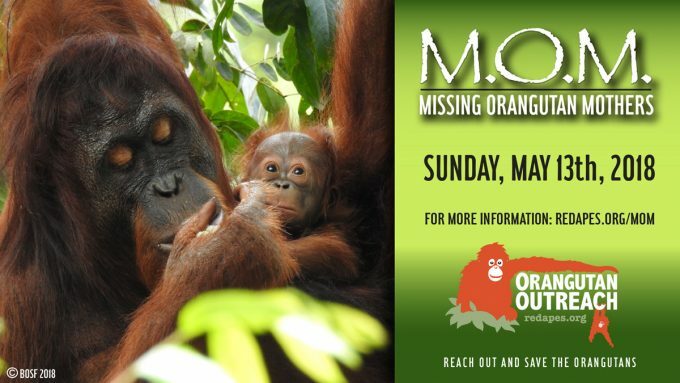 Photo of Madu and Keju courtesy of Zoo Atlanta. Fun fact: the word 'keju' is Indonesian for 'cheese'. We had a special treat in 2016: 2 mothers & babies in 1! 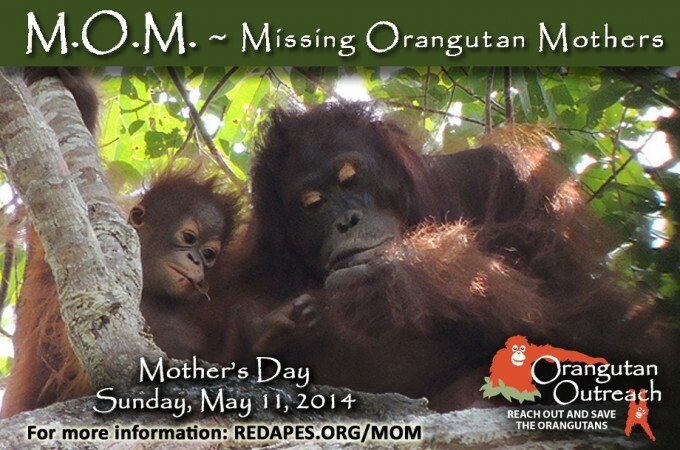 Bornean orangutans Josie & Baby Gojo and Hadiah & Baby Topi from Tampa's Lowry Park Zoo donned our MOM poster. 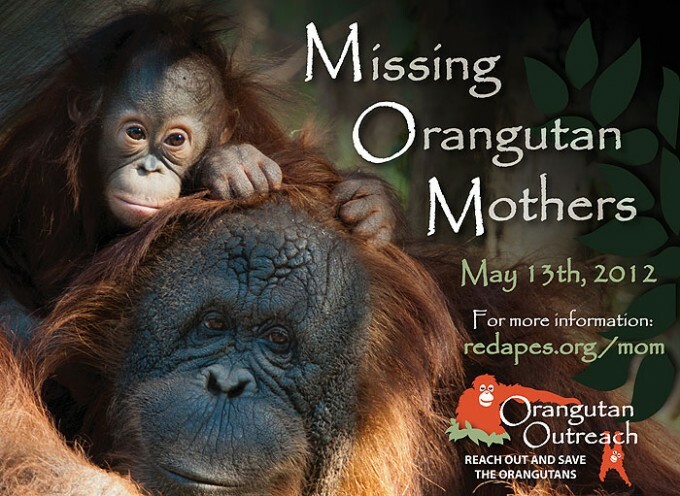 Special thanks to Zoo Photographer Dave Parkinson for allowing us to use his photo. In 2015 we couldn't make up our mind which banner to use so we chose two! 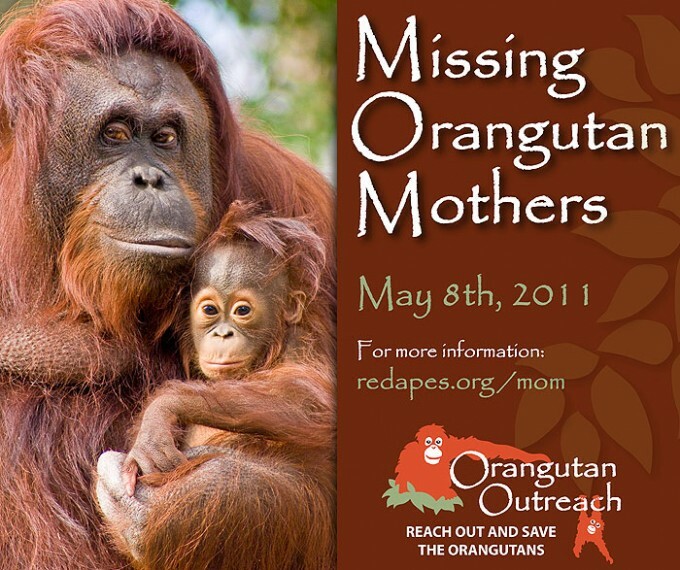 They feature two lovely girls from the St Louis Zoo. 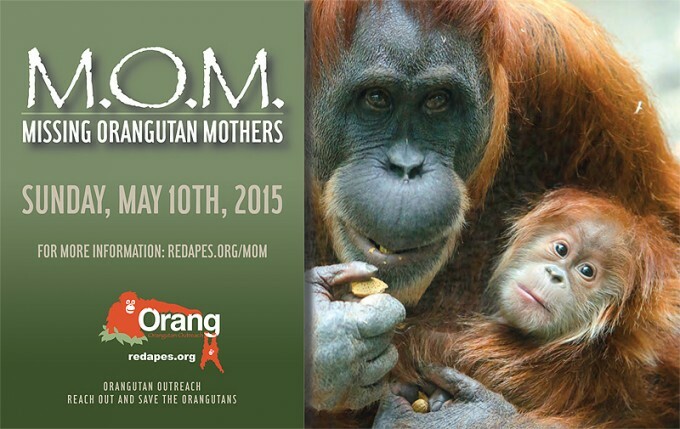 Sumatran Orangutan Mom Merah and her amazingly gorgeous baby girl, Ginger, will make your heart swoon. Special thanks to Robin Winkelman for being kind enough to let us use her photos and to designer Laura Mendoza for creating the banners. The 2012 M.O.M. Campaign was dedicated to a very special baby named Luna. This precious angel 'disappeared' under very suspicious circumstances from her rescue center in 2011... Luna shall remain in our hearts forever. We will never forget her. Learn more about the tragic loss of Baby Luna.